Although the case was unsealed Thursday, neither the indictment nor the news release mentioned Gordon's job searching airline passengers for TSA. The arrest comes as TSA grapples with several other incidents involving screeners, including a YouTube video posted last week by parents angry about the pat-down their 6-year-old daughter received at an airport in New Orleans. TSA officials said the pat-down was proper; the parents said the girl was "groped." "We can assure the public that he is no longer working at the airport," Davis said. Gordon is paid $37,000 annually as a TSA screener, records show. He has no prior criminal record, officials said. Assistant U.S. Attorney Michael Levy, chief of his office's child exploitation unit, declined to comment Friday. Gordon's lawyer, Elizabeth Toplin, an assistant federal public defender, could not be reached for comment via e-mail or phone late Friday. Tipped by the Delaware County District Attorney's Office, federal agents began investigating Gordon on March 10, according to an affidavit from a Homeland Security Investigations agent. The tip allegedly included evidence that Gordon had uploaded five explicit photographs of young girls onto the web site Photobucket. 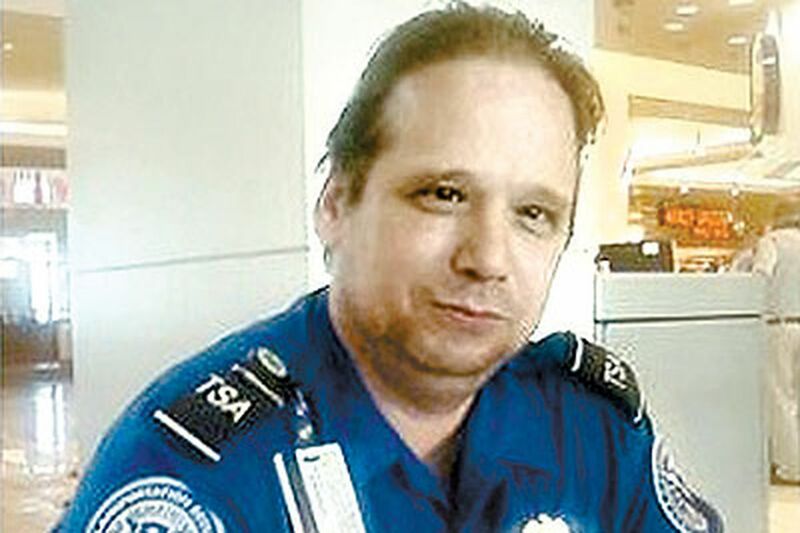 The federal agent alleged that Gordon's Photobucket account also included a picture of him wearing his blue TSA uniform. The indictment alleges that Gordon used at least six Facebook accounts and employed multiple names "to upload and store images of sexual exploitation of minor children." Gordon's job as a TSA screener was in jeopardy last year for unrelated reasons, according to an online newsletter of the American Federation of Government Employees. Citing a family issue, it said Gordon was having "difficulty maintaining his work schedule." The union lawyer helped convince TSA officials that a change in shift schedule resolved the problem, the newsletter said, and Gordon returned to work. Contact staff writer John Shiffman at 301-320-6655 or jshiffman@phillynews.com.